Morzine is a fantastic village and ski resort suitable for regardless of your health needs, special needs, life-threatening and life-changing conditions. 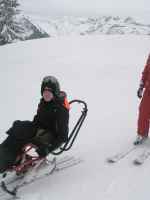 It is a "flat" village and therefore, depending on snow conditions good for wheelchair users. 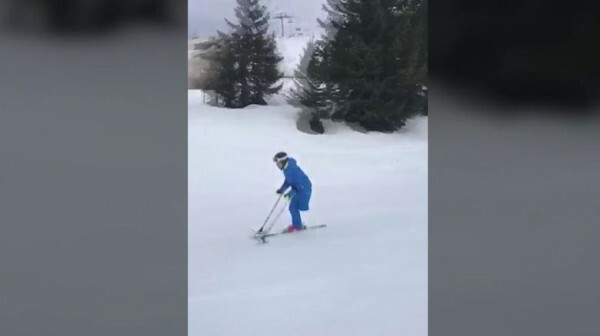 The local ESF ski school has instructors who can teach anybody especially those with a physical need, cognitive such as Down's Syndrome and Autism, and they have specialst ski equipment - however, it is not available for rent by independent skiers. 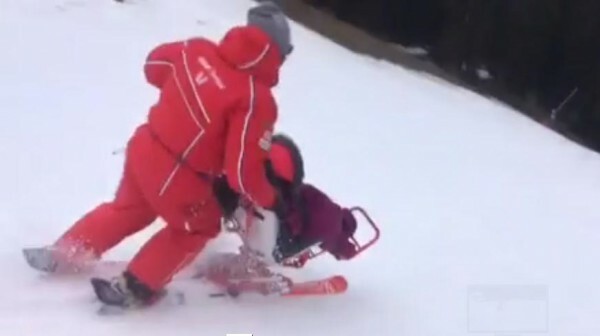 It is also home town for one of France's well-known Paralympic skiers Yohann Taberlet. There are a good selection of places to stay, although not many self-catering or catered chalets with wheelchair access. There are several hotels with adapted bathroom and bedrooms very close to the Pleney Lift. This is being restructured and will be accessible for wheelchair users for the winter 2013-2014. The village of Morzine has a weatlth of activities and things to do when not skiing and is very much a family resort but seems to cater for all ages! An excellent selection of restauants, bistros, bars and the ever ubiquious pub! Accessing the mountain restaurants and meeting up with family and friends is easy for non-skier. However there is a walk across the snow, about 10 mins to reach the well-known and charming restaurant called Le Vaffieu. A pedestrian pass is available from the ski lift office and the tourist office will be delighted to help with other activities. If you, a friend or family member have any of the following then Morzine might work brilliantly for your ski or summer holiday. This is by no means an exhaustive list (it would be impossible to include every condition) but many have similar or common factors. As often someone may have a condition that we have not yet come across please do ask us if you are interested in the resort and we can try to help. Morzine has a great selection of hotels, apartments and chalets suitable for all visitors. Accessible accommodation in Morzine is also available for wheelchair users (dependent on type of wheelchair) and those with limited mobility. For more information on mountain activities in Morzine please contact us. 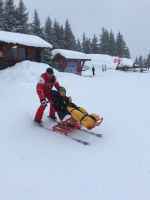 The ski school has some exceptional instructors for assisted and adaptive skiing. 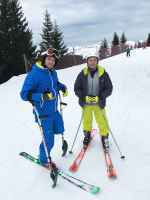 Although based in Morzine, if there is availability and no one is able to teach from ESF Avoriaz, then they are able to go up to Avoriaz - as shown by our BLOG on Wyn Austin skiing with one leg in Avoriaz further down this page. To get a better idea and understanding of the ski resort of Morzine and what else they can offer you for your holiday, we suggest you look up their website as every Tourist Office offers a fascinating and exciting insight into what they and the surrounding area can offer visitors. In addition many have a dedicated website or page for those who are in need of assistance, disabled, with young children and babies and those of us just getting on a bit in life! The following are delighted to share their experiences with you on how Morzine was able to assist and empower them to have a life enhancing winter and ski holiday. If you would like to speak directly with one of our beneficiaries please contact us so we can put you in touch – sometimes sharing a similar condition can be most reassuring especially for first timers! *When I arrived I Avoriaz and was waiting for my instructor I was fairly nervous. However my instructor Francois (ESF Morzine) was brilliant from the offset. I had a two hour lesson with him which resulted with me stable, turning, stopping and having the confidence to go off on my own! Over the 3 days I was skiing my confidence grew and I was flying down the slopes with as much speed and control as my friends I had gone with. All the news, feedback articles and press releases illustrate how Morzine helps to enhance people’s lives. 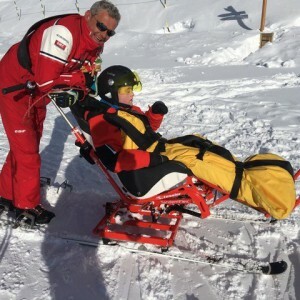 Also, in many cases, showing how Ski 2 Freedom works in close association with Morzine to help raise awareness of the empowering benefits of mountain activities such as skiing and promoting accessible, social and inclusive tourism. If on reading our Morzine page, you have your own experiences and feedback of the resort (winter or summer) that you would like to share or feel would be encouraging to others, please do not hesitate to send them to us for inclusion on both our website and social media – photos and film clips also welcome.